“An international team of scientists has discovered a new, exotic form of insulating material with a metallic surface that could enable more efficient electronics or even quantum computing. 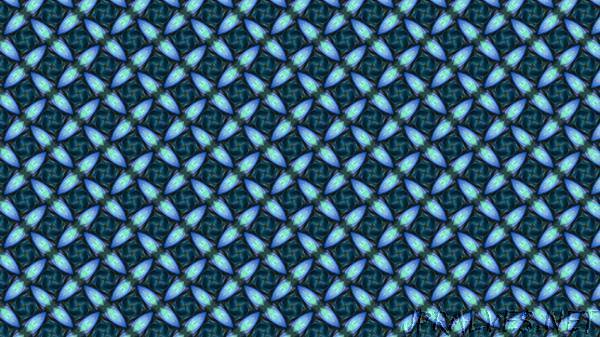 The researchers developed a new method for analyzing existing chemical compounds that relies on the mathematical properties like symmetry that govern the repeating patterns seen in everyday wallpaper. “The beauty of topology is that one can apply symmetry principles to find and categorize materials,” said B. Andrei Bernevig, a professor of physics at Princeton. The research, appearing July 20 in the journal Science, involved a collaboration among groups from Princeton University, the University of Pennsylvania (Penn), Sungkyunkwan University, Freie Universität Berlin and the Max Planck Institute of Microstructure Physics. The discovery of this form of lead-strontium (Sr2Pb3) completes a decade-long search for an elusive three-dimensional material that combines the unique electronic properties of two-dimensional graphene and three-dimensional topological insulators, a phase of matter discovered in 2005 in independent works by Charles Kane at Penn and Bernevig at Princeton. Some scientists have theorized that topological insulators, which insulate on their interior but conduct electricity on their surface, could serve as a foundation for super-fast quantum computing. The new work demonstrates how the symmetries of certain two-dimensional surfaces, known as the 17 wallpaper groups for their wallpaper-like patterning, constrain the spatial arrangement (topology) of three-dimensional insulators. In a conventional three-dimensional topological insulator, each two-dimensional surface exhibits a single characteristic group of states with cone-like dispersion. These cones resemble the elements on graphene called Dirac cones, features that imbue the material and other two-dimensional Dirac semimetals with their unusual electronic transport qualities, but they are distinct because graphene possesses a total of four Dirac cones in two pairs that are “glued” together. A solution emerged when Benjamin Wieder, then a graduate student in Kane’s group and now a Princeton postdoctoral associate, visited Princeton. At Princeton, Bernevig and colleague Zhi Jun Wang had just discovered “hourglass insulators” — topological insulators with strange patterns of interlocking hourglass-like states — which Wieder recognized as acting as if you had wrapped a three-dimensional crystal with a special kind of patterned wallpaper. “We realized that you could get not just the hourglass insulator, but also this special Dirac insulator, by finding a crystal that looked like it was covered in the right wallpaper,” said Wieder. The researchers quickly went to work applying mathematical rigor to Wieder’s inspiration, resulting in a new, wallpaper symmetry-based methodology for diagnosing the bulk topology of three-dimensional crystals. “The basic principles are simple enough that we sketched them on napkins that very evening,” said co-author Barry Bradlyn, an associate research scholar in the Princeton Center for Theoretical Science (PCTS). “But they are nevertheless robust enough to predict and understand a zoo of new topological phases in real materials,” said Wang, a postdoctoral research associate in physics. To identify the Dirac insulating phase in nature, the researchers calculated the electronic structures of hundreds of previously synthesized compounds with surfaces with two glide lines (wallpaper groups pgg and p4g) before identifying the novel topology in lead-strontium. The computational chemists “knew they were searching for a needle in a haystack, but nobody bothered to tell them how small the needle might be,” said Jennifer Cano, an associate research scholar at PCTS. As even more exotic topological insulators are discovered, the role of wallpaper group symmetry, and of the special, graphene-like cones in the Dirac insulator, have been further solidified. “When you can split a true surface Dirac cone while keeping time-reversal symmetry, something truly special happens,” said Bernevig. “You get three-dimensional insulators whose two-dimensional surfaces are also a kind of topological insulator.” Such phases have been predicted recently in bismuth crystals and molybdenum ditelluride (MoTe2) by several members of the collaboration. Furthermore, with the use of a new theory, topological quantum chemistry, the researchers hope to find many more of these exotic phases.